aquapetz.com • Dussehra 2015 Offer!! 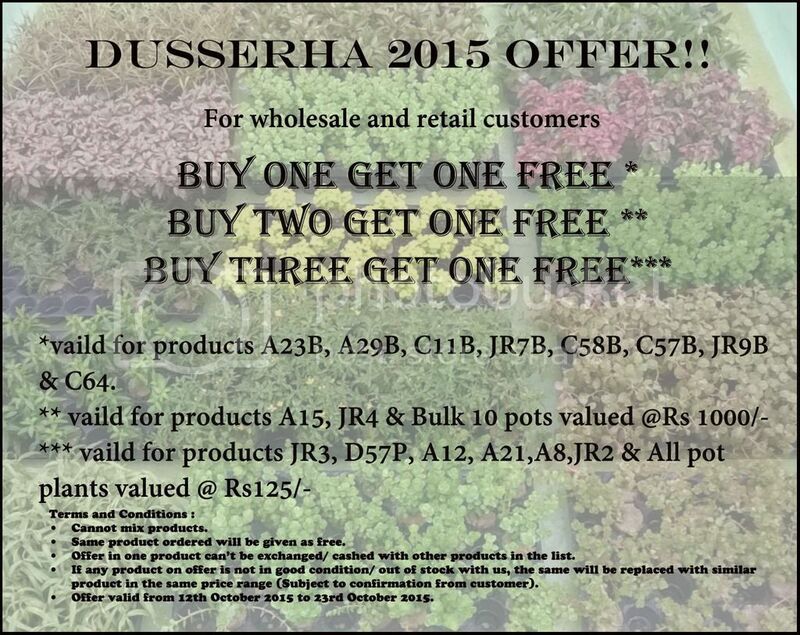 Pot Plants: ( Products valued at Rs.125/- only) Buy 3 pot of the same product - Get 1 Pot free of the same. •	Same product ordered will be given as free. •	Offer in one product can’t be exchanged/ cashed with other products in the list. •	If any product on offer is not in good condition/ out of stock with us, the same will be replaced with similar product in the same price range (Subject to confirmation from customer). •	Offer valid from 12th October 2015 to 23rd October 2015.